Kiggit is a football betting company headquartered in Copenhagen, Denmark. 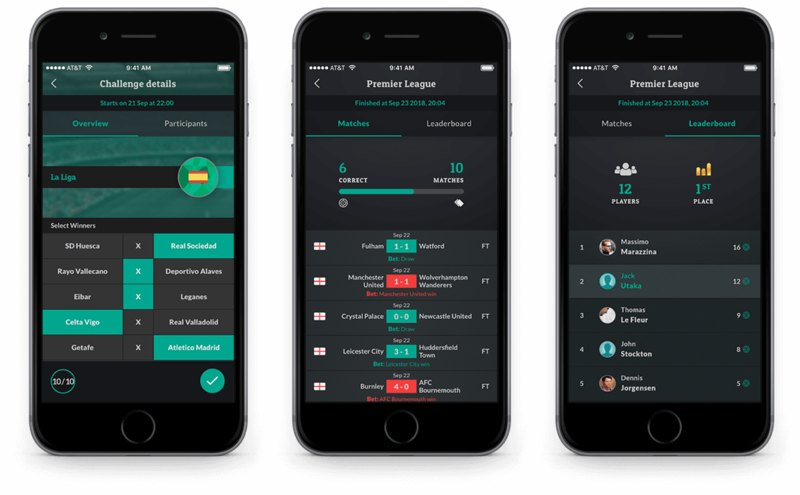 Kiggit mobile app focuses on user experience and provides football fans with predictions, challenges, live scores and chat functions. 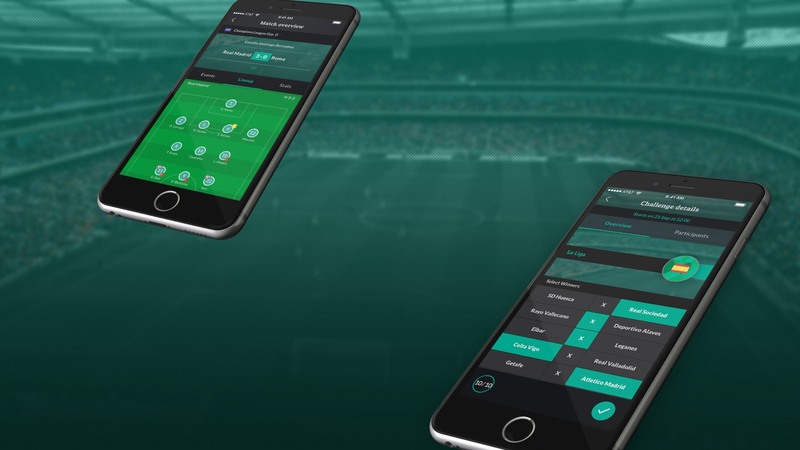 The company was founded in 2013 by Jakob Hagemann (CEO) and Thomas Baastrup Jacobsen (CTO) with a vision to create a social gaming company targeting the 400 million fans consuming football from mobile devices. 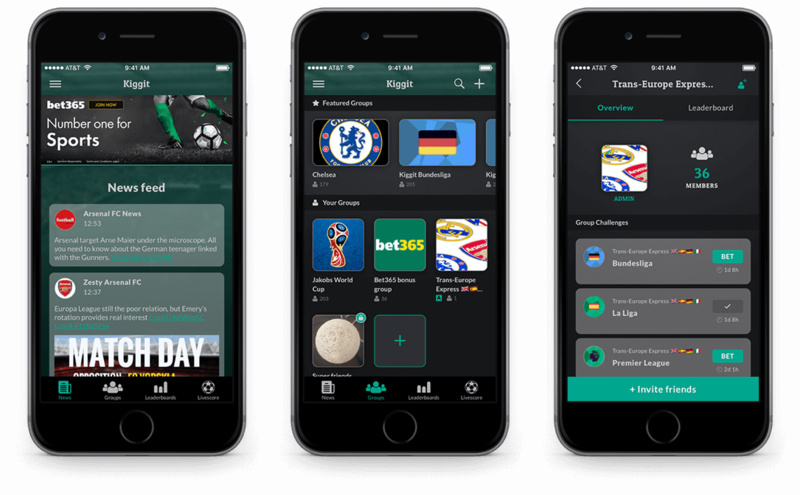 Kiggit looks to bridge the gap between social gaming and betting, two booming industries, by letting friends challenge each other as a group rather than betting against a traditional betting operator. UKAD team successfully implement all the chosen solutions, met the client's requirements and released the iOS and Android application with a new functionality. Our fruitful partnership with the Kiggit continues for more than 2 years. 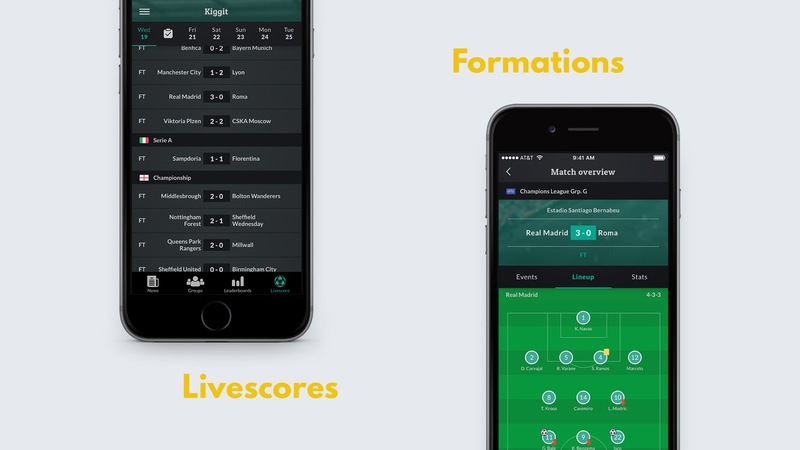 And new updates and features are deploying in order to give the football fans the ultimate gaming experience.